They are not poor, and they have more than enough food. They have running water, and they live like normal people. They live happily without television, smart phones, google or facebook. It’s not a problem at all if you have a branded item imported from abroad while they don’t. They don’t really care about what people at the Parliament are fighting for. They are not jealous of other people. Baduy tribe lives in Banten province, about 140 km away from hectic and crowded Jakarta. 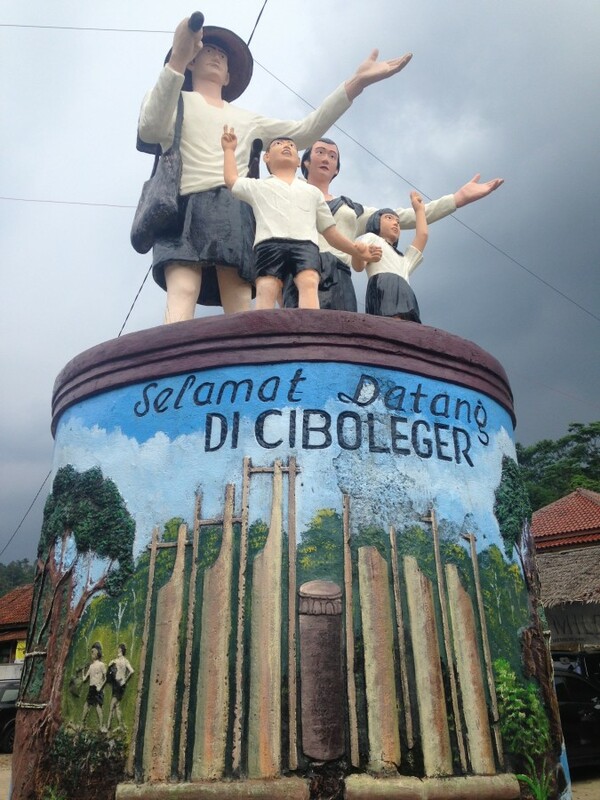 The entrance point is Desa Ciboleger. This is the last point where we can find grocery store. Baduy is in Java island, where most development is concentrated here. My mom, who grew up in West Java, said that Baduy people are not allowed to walk together, they must walk one by one and follow each other. We started to walk at around 1:30pm from Desa Ciboleger. There are two types of Baduy tribe, Baduy Luar (Outer Baduy) and Baduy Dalam (Inner Baduy). We reached the border of Baduy Dalam and Baduy Luar at around 2pm. 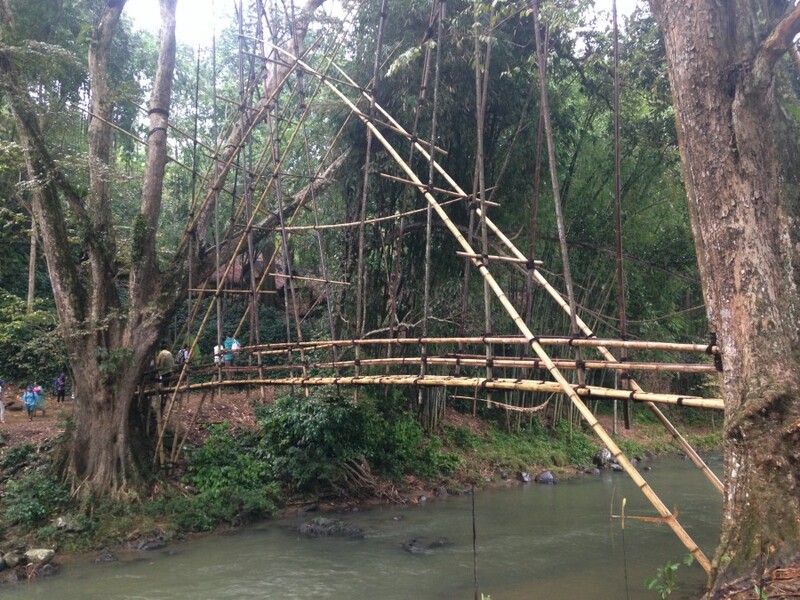 The bridge was made of bamboo and rope. 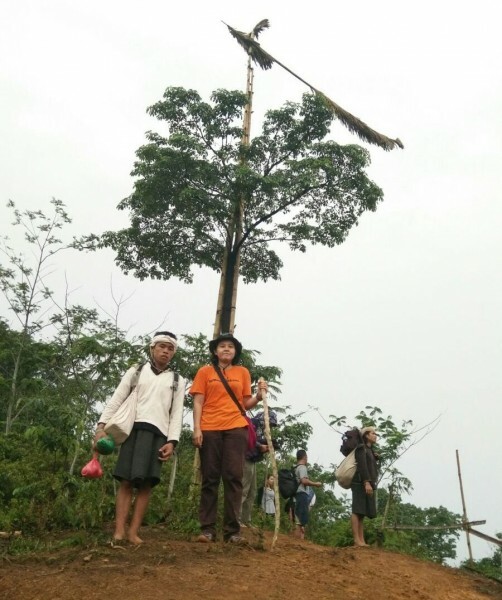 Some friends preferred to stay at Baduy Luar, because they heard the trekking route is quite challenging. It was raining, slippery, steep, and rocky. Foreigners are not allowed to enter Baduy Dalam. Baduy Luar tribe have access to electricity, they wear usual clothes. What I meant here is like tshirt, jeans, shorts, shoes or sandals. Women usually wear sarong. They have toilet, room for shower (although it’s only bucket and bailer or gayung). 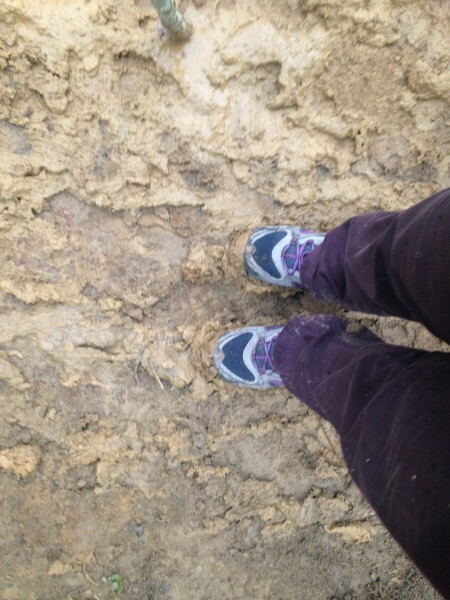 We continued walking and slowly but sure, the mud were making my steps a bit harder. Our guides were from Baduy Dalam. They walked with bare foot. Aldi, our guide who hold a plastic of eggs on his hand, walked like there’s nothing to be afraid of. I walked very carefully because I didn’t want to fall on the rocks. There’s another rule in Baduy Dalam. Visitors are not allowed to take pictures inside. There’s a final spot where we can take final picture before entering the zone. I respect the rule. I heard about some people taking photos secretly, but then the memory card was broken. Anything could happen here. Some also believe that Baduy has something mystical. They don’t follow any religions. We finally reached the house almost dark at around 6pm. The village has around 600 people, it’s nearby the river, only a few meter away. The size of each house is similar. Don’t ask about the furniture. I saw only thick bamboo carpet. We stayed at our guide’s house. He lives with his wife and 2 children. 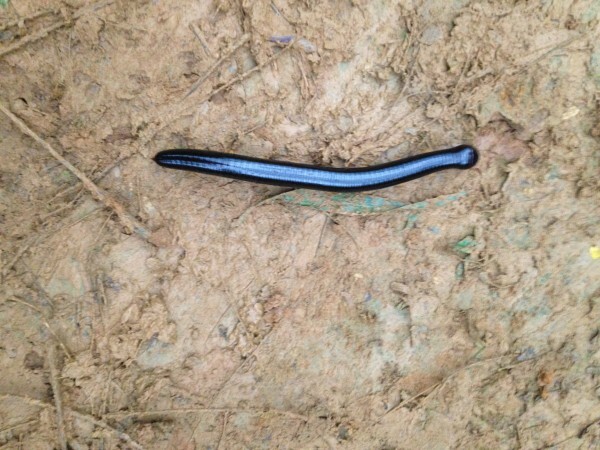 Physically, they have brighter skin. It’s the color of many Indonesian women dream of. Women of Baduy Dalam don’t even wear make-up, fashion, or any jewelry. Now I’m strongly believe that women’s best friend is not diamond. Baduy Dalam tribe wears only black and white. Men don’t wear pants, but similar to skirt. They have white large fabric as their bag. Women wear sarong and large fabric to carry their infants or small children, or bucket. No soap, no toothpaste! That’s the rule of using the common “shower room”. Anything that can affect nature and the river is not allowed. Oh, by the way, for women is on this side, and for men is a bit further. Well, there’s no door to keep your privacy. At the age of around 10, the parents usually set up their children’s future spouse. I guess they got married at the age 20 or so. “What if they don’t like it?”, someone asked if she/he doesn’t like to be set up. “Nothing, just accept it!” These people really taught me something, especially to accept things I can not change. There is no health facilities, but they have Tabib, who is believed can cure many diseases. Children learn from their parents although they don’t go to school. Since childhood, they don’t wear any footwear at all. And it’s forever. At 9pm, the village was already quite and dark. Sure, there’s no light, no tv, no news, no signal. In addition, no pillow, no bed, no mattress. The next morning after breakfast, we left the village at 7am. Before we left, the host offered some souvenir for sale. Typical souvenirs are traditional handmade fabric, bracelet, key chains, tshirt, honey. There were sellers from outside as well. I noticed them because they wore sandals, tshirt, jeans. On the way back, I saw many durian trees. I’m a durian lover. No wonder Baduy tribe lives happily. They can get durian anytime they want while urban people must pay thousands of rupiah when they are craving for durians. 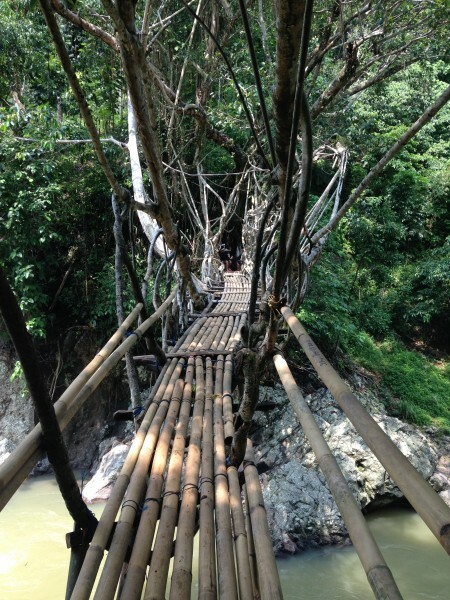 One of the best spots in Baduy is the root bridge. 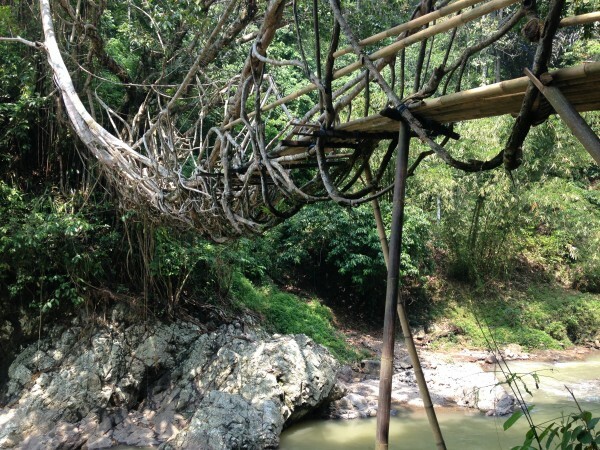 The root of the trees is holding back the bridge. It’s very beautiful. 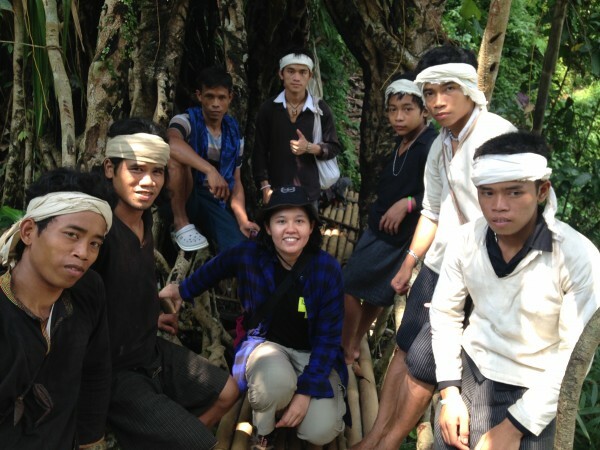 And finally, I could have a picture with Baduy people. I really enjoyed this trip. It’s a good way to learn life without gadgets.